This is a guide on how to unlock Nokia E71 to use with any GSM network. 100% Guaranteed to unlock your Nokia E71 We can unlock any GSM network including AT&T, T-Mobile, Rogers, Bell, Telus, etc. How to Unlock Nokia E71 1. Purchase the unlock code at www.CellphoneUnlock.net 2. Enter the required phone information and contact information - 15 digit IMEI # (press *#06#) - Network provider phone is currently locked to 3. The unlock code will be emailed to you! Click Here to purchase your Nokia E71 unlock code! Nokia E71 Unlock Instructions 1. Switch ON your Nokia E71 without a SIM card 2. Compose #PW+CODE+1# or #PW+CODE+7# The letter P appear after press 3 times quickly the button star ( * ) The letter W appear after press 4 times quickly the button star ( * ) The letter + appear after press 2 times quickly the button star ( * ) 3. The phone show "SIM Restriction Off" and is unlocked! Why should I use www.CellphoneUnlock.net? With over a decade of experience in the mobile industry we are one of the top rated internet unlocking sites. We guarantee lowest prices and fastest turnaround to unlock your Nokia E71. 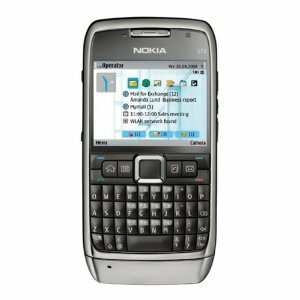 Why should I unlock my Nokia E71? Phone unlocking is used when you would like to change Networks or service providers using the same device. After you Unlock your Nokia E71 you can simply insert the SIM card from the service provider of your choice (Must be GSM) and then use the same device. Why do people their phones? People unlock their phones for numerous reasons. If you want to change service providers, if you are travelling and wish to use a local SIM card and if you are selling your device it will increase the value significantly as there is a larger target market. Is it 100% Guaranteed to unlock my Nokia E71? www.CellphoneUnlock.net guarantees 100% to unlock your phone’s network. However it is up to the buyer to make sure the service provider they wish to use on their phone with is compatible with their unlocked phone. If you are not sure please contact us first and we will assist you. Is this Safe to unlock my Nokia E71 and is it Illegal? Unlocking your Nokia E71 by remote unlock code is 100% safe. These phones were built to accept unlock codes. It is the same method service providers will use to unlock their devices. Cellphone unlocking is also 100% legal and will not void warranty on your device. If you have any questions, please contact our support team toll free at 1-800-707-9807 or email us at sales@cellphoneunlock.net. Our live support team is available to assist you Monday - Friday, 10am - 7pm PST. Click Here to purchase your Nokia E71 unlock code NOW!